The booming business of risk management has lifted pay and opened up a well of potential MBA job opportunity at the top banks, insurers and asset managers. The booming business of risk management has seen senior risk managers’ pay surge as financial services companies show a great appetite for talent. This has opened up a well of potential job opportunity at the top banks, insurers and asset managers, say business school careers managers. At the very top of the chain, demand for chief risk officers in the City of London is so high that they are being paid as much as chief financial officers, according to new research by Hedley May, the recruitment firm. Risk management has moved up the finance sector’s corporate agenda as boardrooms home in on potential hazards. The role is growing in stature even in asset managers and insurers, driven by the rigorous regulatory environment, according to Hedley May. This has meant CROs now report directly to banks’ chief executives, as more groups including HSBC and Lloyds Banking Group conduct risk management at the board level. But even lower down the chain, the particular mix of skills needed for risk managers, and fierce competition for talent, mean it is difficult to find the right recruits. There has been growing scrutiny in the finance sector since the crisis, spurring an increasing demand for risk professionals, according to Paul Schoonenberg, head of MBA careers at Aston Business School. She added that the organizations which are recruiting the most are banks, hedge funds and financial regulators. Demand is likely to increase, as banks are grappling with new issues like cyber security and the rise of digital services that are stretching their outdated IT systems. “Companies and governments are asking for tools to handle cyber risk,” said Marie Kratz, director of the Risk Research Centre at ESSEC Business School. She added that recruitment demand for risk professionals is strong but will become even stronger, as other industries outside finance start to become more concerned with risks. The boom comes as financial institutions also increase their recruitment of compliance managers and executives. Banks, hedge funds and smaller niche financial services players are all upgrading their compliance functions, or in some cases creating a distinct function for the first time, according to a separate report from Hedley May. Remuneration packages in compliance have already increased by as much as 50% in some cases since 2011. This contrasts with a fall in total compensation in the so-called “front office” functions over the same period. This has spurred banks to train staff in-house through internships – such as Goldman Sachs’ 10-week summer placement in its global compliance division. William Sihler, professor of finance at Darden School of Business, said that companies are also sending existing employees to take courses and seminars on compliance. 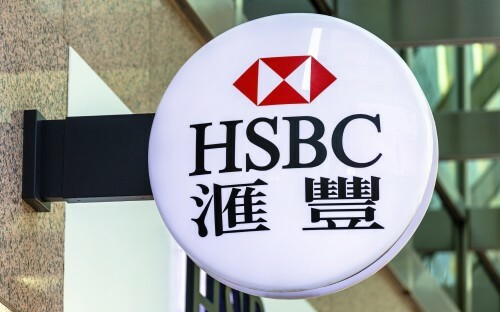 Both HSBC and JP Morgan said that they would hire around 3,000 more compliance officers, to deal with regulatory scrutiny. Barclays, too, has been on the hunt for an army of new compliance staff, with 200 vacancies this month, according to City Insider. But while opportunities in compliance and risk may be abound, these will generally require considerable previous experience in that function, said Pascal Michels, associate director of career services at IESE Business School. The compliance and regulatory practices at the big four audit firms like KPMG and PwC, and consultancies such as McKinsey and Accenture are also struggling to recruit and retain talent, according to Hedley May. The big four have been expanding their share of the consulting market on the back of strong growth in financial services consulting – driven by regulation, according to analysts at Source Information Services, which writes specialist constulancy research. It is a similar story for risk managers, and at smaller consultancy firms. Paul at Aston said: “There has been uplift in smaller, boutique risk consultancies seeking to attract appropriate talent."